courts, and a fitness centre. from-home is an unbeatable vacation value. chairs, boogie boards, books, and games. All you need to pack are your clothes. 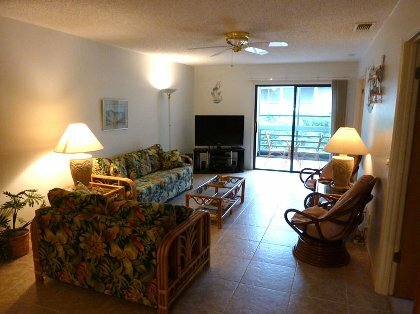 Equipped with books, games, beach chairs, beach towels, and boogie boards. 5 minutes to Beach. 75 minute drive to Disney & Universal. 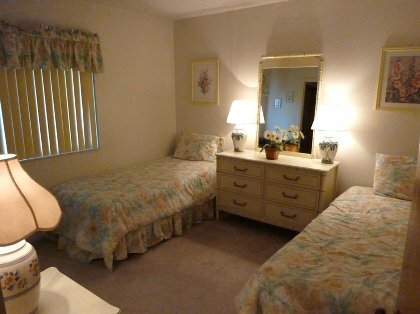 third bedroom with 2 twin beds. 4 Generations on Vacation! We were so blessed to find this place to spend our week. The pictures and the description don't let you know truly how great it is! 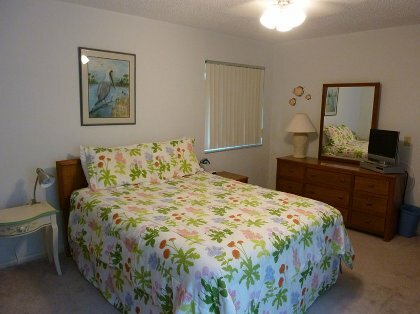 There are so many extras in this condo and throughout the complex! Michelle has thought of everything! You really only need your clothes and food! I wish we would have packed a lot less! She supplies movies, games, cards, tons of beach toys, towels, and chairs, boogie boards, (the kids LOVED those), lots of great books to get lost in while soaking up the sun, there was even a couple of small coolers to take to the beach, tennis rackets and balls to enjoy on the courts, even a few beach hats to protect your face from the sun! The complex has a great nature trail, pools, steam room, weight rooms, tennis courts, and shuffle board. We loved it! It is just across the street from the beach. The pools were so nice and always clean. The showers in that area were nice to rinse off all the beach sand before heading back to the condo or jumping in the pool. 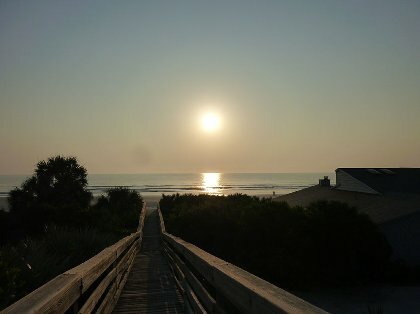 New Smyrna Beach is a beautiful place to vacation. This condo made it even better! Cleaning charge of $100, Admin charge of $35, 12.5% Florida taxes. Will prorate for periods over 7 days, e.g. 10 days. 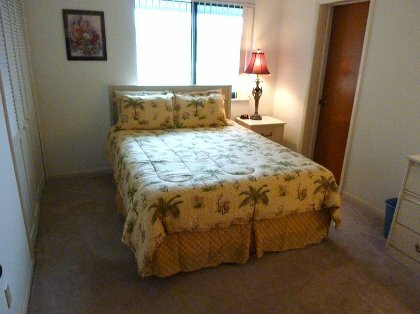 Refundable security deposit of $200 for weekly stays, $500 for monthly stays. 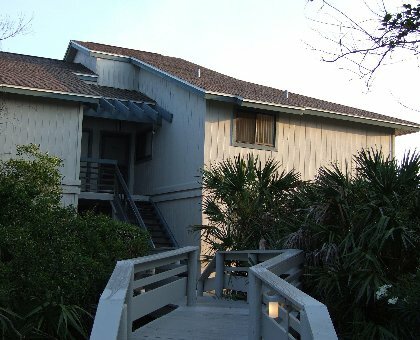 Deposit: Security Deposit of $200 refunded within 15 days of departure, providing there is no damage to unit. The security deposit increases to $400 if you want to bring a pet. Cancellations and Refunds: Cancellations in writing must be received 30 days prior to arrival. Cancellations made less than 30 days before arrival are subject to 10% handling charge. Cancellation without written notice will result in forfeit of Security Deposit. Other Fees: Admin charge $35. Required Stay: Sat to Sat, or Sun to Sun.